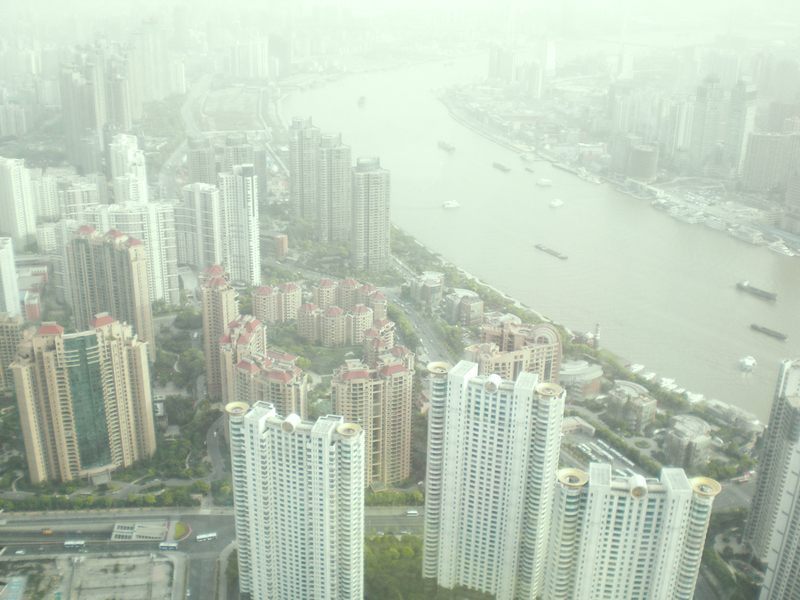 Shanghai is home to two of the biggest buildings in the world: the Jin Mao Tower and the Oriental Pearl Tower. The Jin Mao Tower is the 8th tallest building in the world and was the tallest in China until 2007 when the Shanghai World Financial Center was built next to it. On the other hand, the Oriental Pearl Tower is the 5th tallest tower in the world. Both are a sight to see. 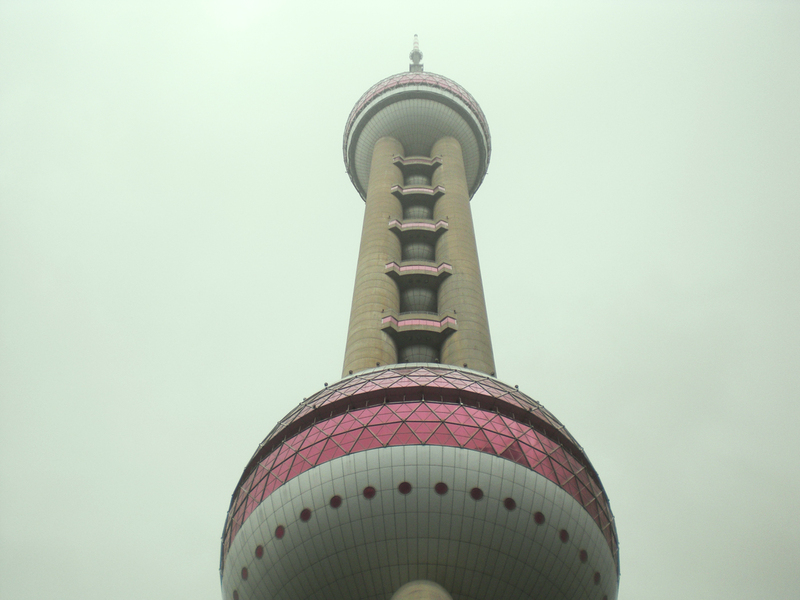 The Oriental Pearl Tower is a TV tower that broadcasts TV and radio programs. It is also home to exhibition facilities, a shopping mall, a revolving restaurant (at 876 ft.), an arcade and amusement park complete with rollercoaster. There is also a hotel called Space Hotel. Today, the Oriental Pearl Tower is seen as the symbol of Shanghai. The Tower has 15 observatory levels with the highest at 1,148 ft. We stayed at the next one because we ran out of yuan but it was just as breathtaking. The view was amazing. The sightseeing floor is at 863 ft. The floor is clear which affords the spectator a clear view of the ground below. My brother and I discovered this by accident (it wasn’t advertised so I suggest you consciously look for this one) and it felt discomforting yet strangely exhilarating. 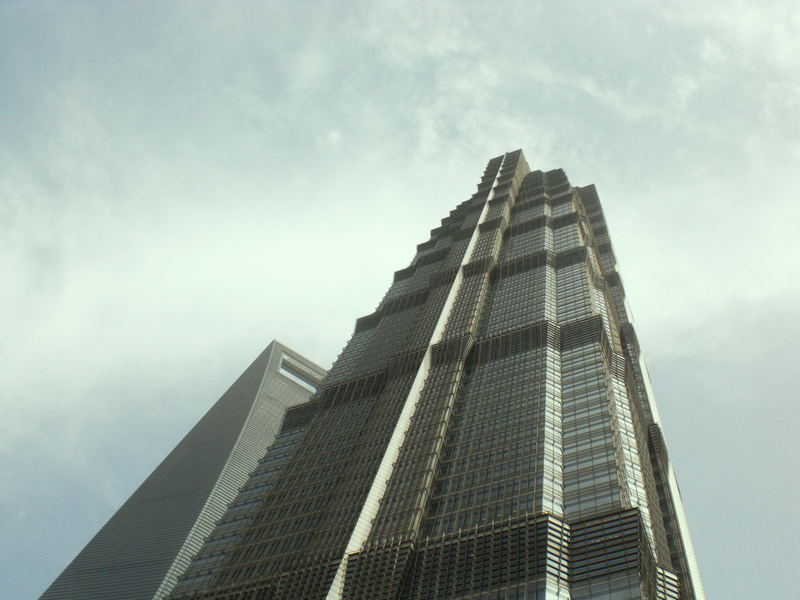 The Jin Mao Tower is just around the corner. You can’t miss it. It’s an 88-floor giant inspired by the ancient Chinese pagoda. Much of the construction is relied on the number eight, which signifies prosperity for the Chinese. The 88 floors (93 if the spire floors are counted) are divided into 16 segments, each of which is 1/8 shorter than the 16-storey base. The tower is built around an octagon-shaped core surrounded by eight exterior supercolumns and eight exterior steel columns. Three sets of eight two-story high trusses connect the columns to the core at six of the floors to provide additional support (Wikipedia). Currently, the tower comprises of restaurants, nightclubs, a shopping mall and most interestingly, its primary tenant, the Shanghai Grand Hyatt Hotel. It occupies 34 floors and contains 555 rooms. 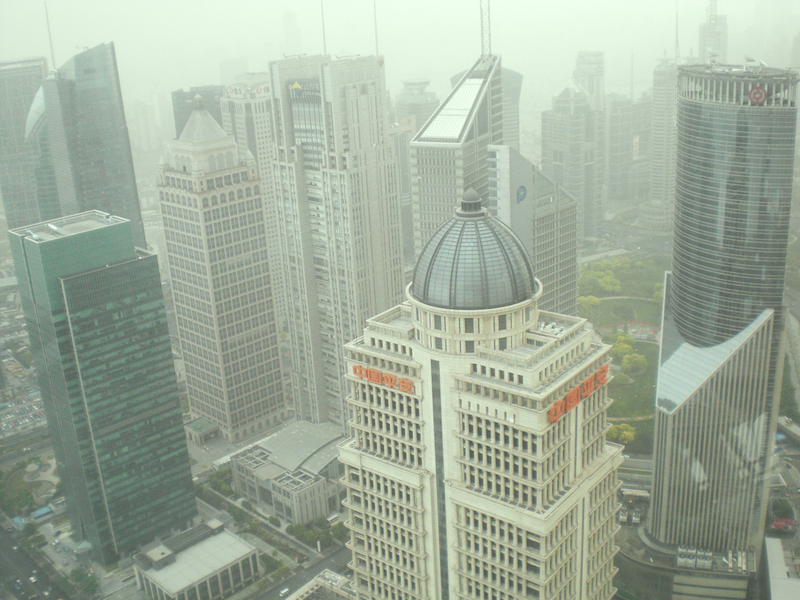 The five-star hotel is one of the highest in the world, second to its sister hotel, the Shanghai Park Hyatt located next door at the Shanghai World Financial Center (biggest building in China, second in the world). However, the hotel holds the distinction to owning the world’s longest laundry chute, which stretches all the way down to the building’s basement. 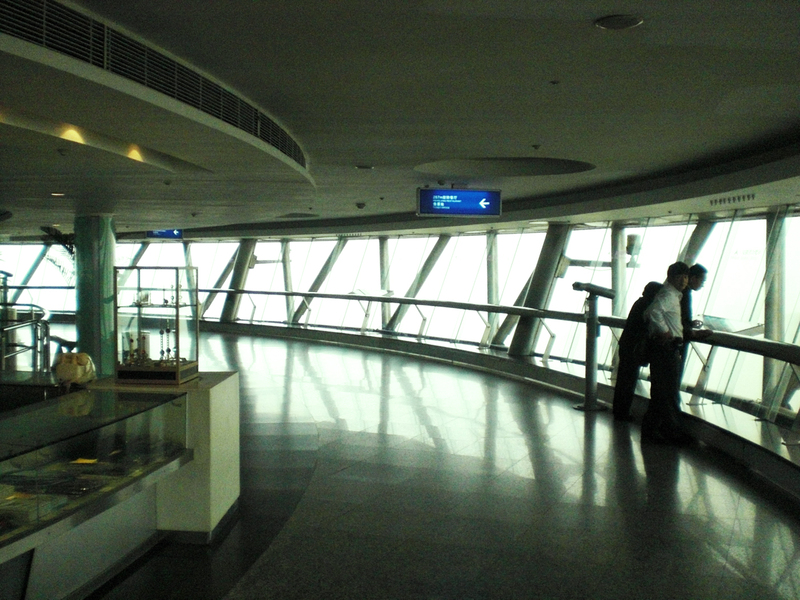 One of its attractions is its elevators, which can take you to the 88th floor in 45 seconds or 9.1 m/s. The view was even better. 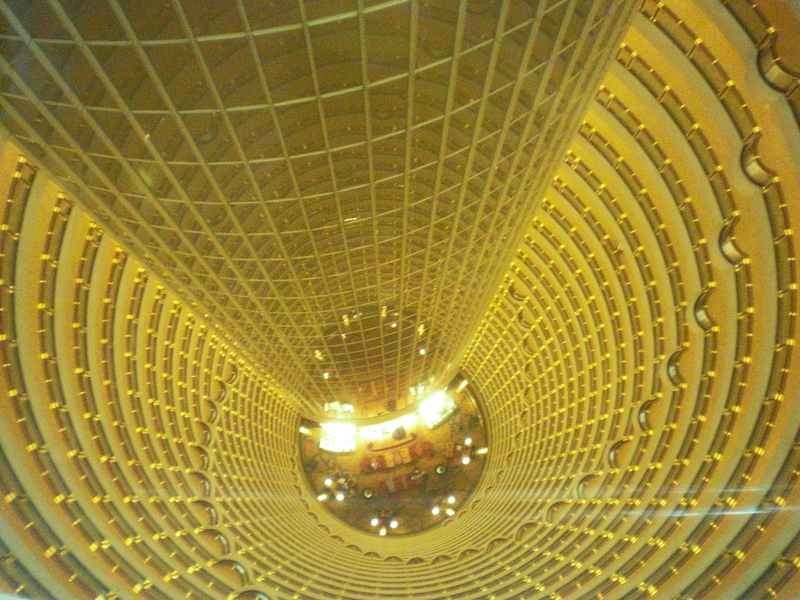 Honestly, there was nothing much to see in Jin Mao Tower because it offered the same view in the Oriental Pearl Tower. There was nothing else to see. I did find this interesting, though. 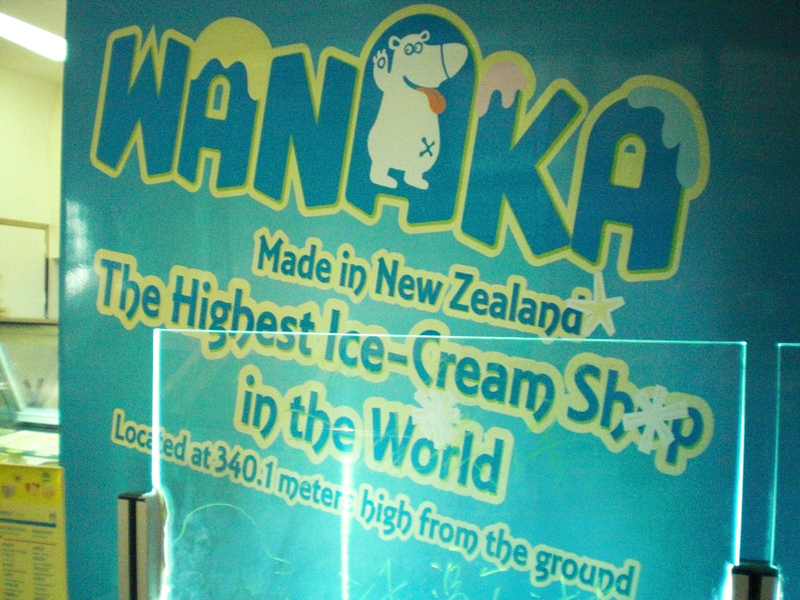 The highest ice cream shop in the world. A view down. You can see all the way down to the lobby. Or the Grand Hyatt. Either way, it was scary. Since both towers offer the same thing, it would be prudent to pick one over the other. 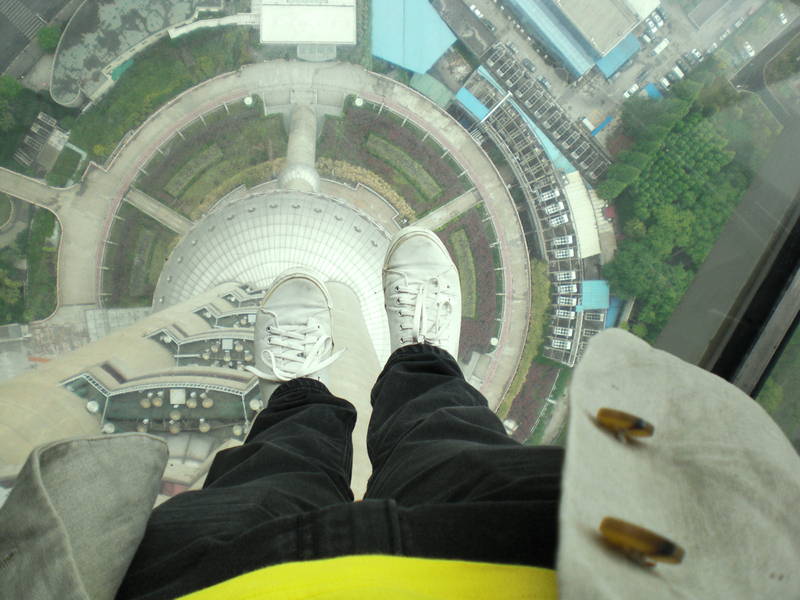 I suggest you go for the Oriental Pearl Tower because it has a the sightseeing floor but the Jin Mao Tower is higher. If you prefer going to both, you get extra bragging rights.